To Learn Why You Should Join the Net's Most Profitable Automotive Affiliate Program! Are serious about converting your traffic to cash by sending all your automotive traffic to an award winning converting site that offers a genuine product and offers 7 days/week customer service. We also offer the largest US auto auction database online. Agree that highest sales conversions & lowest refunds are what matters. Want to make & keep much more money compared to other sites. Appreciate that Clickbank is the safest, most secure, and most trusted alternative for you when it comes to tracking, reporting and payment. Understand the power of a good autoresponder, bringing visitors back to the site. Want an instant 20% better conversion as we don't rip our affiliates off by taking phone orders OR accept offline checks OR bank wires and enter them via another payment processor. Approx 20% of your real affiliate revenue is indeed lost with most other sites that offer a contact phone number or accept offline payments. Feels excited that other affiliates are already making in excess of $1,000/DAY! If the above description fits you then please consider yourself warmly invited to become another Gov-Auctions.org power affiliate. You have a solid opportunity to seriously step up your affiliate profits by just recommending us to normal people wanting access to extremely well priced quality cars... which is about anyone you know of right? OK. So that takes care of the potential target audience for our product... Anyone with a drivers license basically. Are you starting to see the abundance of traffic opportunities ? ... not just PPC. Great question! The quick answer is that we truly know that every visitor counts and if we don't convert your traffic to sales you will take your business elsewhere. It's simple, your priority is our priority: "Traffic MUST Equal Sales"
We have the highest converting site design using award winning professionals. Largest US auction database with over 4,000 auctions US Wide. Autoresponder bringing the potential customer back to the site 5 times. WHY are we the highest paying automotive affiliate program? When you promote our website, we will pay you 75% of every new membership sale of $49.95(lifelong membership with SMART automotive e-book package included) or $39.95 (2-year membership). After all payment processing fees are taken off you get paid a massive net of $33 or $27 per sale. We'll let you in on a secret, we have worked out that it is better and fairer (AND more profitable) to offer people an option. Many gladly opt-in for a $49.95 lifelong membership once they have been offered the opportunity of a lower priced 2-year membership. This means that as an affiliate you need to consider the total number of sales, at a higher percentage of conversion. Finding a magic sweet spot combined with an extremely low refund rate is one key to our affiliates' loyalty and success. The majority of our affiliates that send traffic to our site set themselves up with a very profitable revenue stream, exchanging traffic for cash. Hey Pat. Sure, I think my earnings speak for themselves. It was when I realised that even less targeted traffic converts well with your site that I started doing really well", so well in fact, I am going full time online starting next year. Hey Patrick, no problems. Attached you'll find the screenshot of my gov-auctions earnings. Of course I permit you to publish it. You are doing a great job. I love working with you. Hey Patrick. I have tried a few different affiliate programs on Clickbank and I can say that Gov-auctions is constantly my best performer. Set and forget! I don't buy PPC traffic. I refer people from my sites so it is important that the product quality and customer service is good as it reflects back on my sites. Keep it up! It's simple! Give us a try and see for yourself why Gov-auctions.org is already making a substantial income for many fellow internet marketers. This is our best converting design yet and our product is priced just right. It costs you nothing to try and you don't even need a website! Many of our affiliates use only Paid-Per-Click traffic and do really well, this is a great indicator that our site converts well and is geared to make money for our affiliates. You are warmly invited to start making money with us too. We are happy to include you in on our experience. We keep our customers close, but we keep our affiliates closer. Please feel free to contact us at any time for questions or feedback. If you don't yet have a Clickbank ID, sign up here! It only takes about 1 minute. Click Here to get a FREE and instant Clickbank ID. 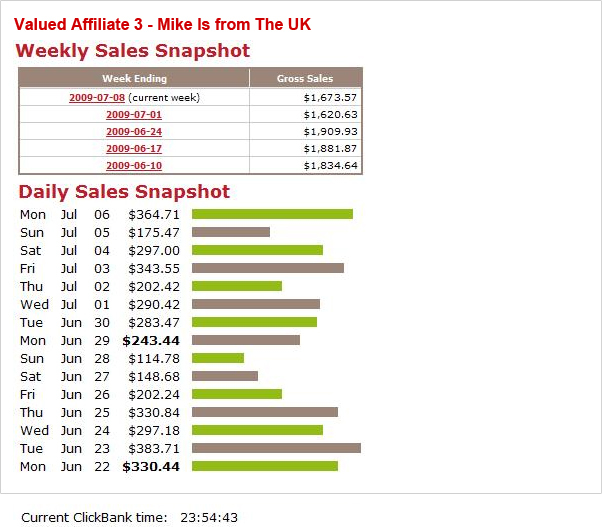 Clickbank.com pays you and is the most trusted 3rd party affiliate program on the Internet. How is My Traffic Tracked? The "hop" in your affiliate code (see above) allows for Clickbank to deposit and track a harmless cookie on the referred visitor's PC and when there is a sale Clickbank will automatically know that you are the referrer, even for returning visitors. 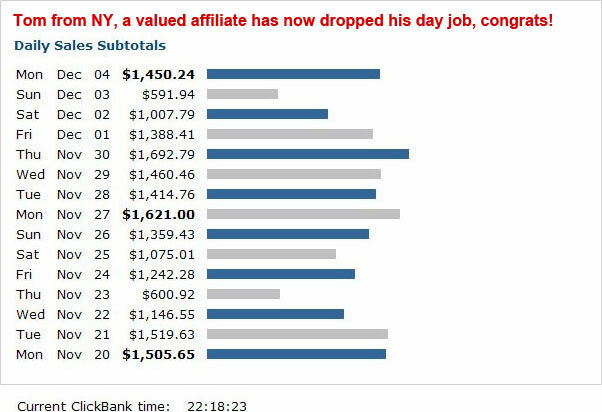 Sign up with Clickbank for free to establish an affiliate account and start making money. 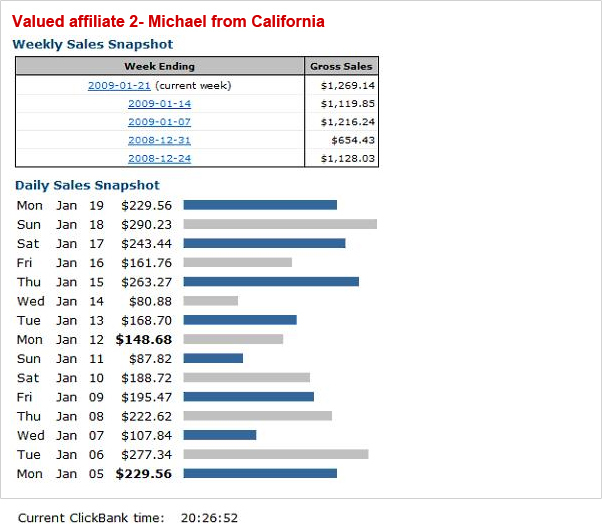 You will be given a unique Clickbank ID that tracks your sales ensuring you get paid. You will then start receiving cheques every 15 days. If you already have a Clickbank ID please just insert it in the code above. Please note, signing up with Clickbank just to buy the membership does not work, Clickbank actually keeps track of that as well.